There is no shortage of quotes or aphorisms about the corrupting nature of too much power. From Thomas Bailey’s warning that “The possession of unlimited power will make a despot of almost any man” to Lord Acton’s “absolute power corrupts absolutely”. Why does this happen? Empathy, as readers of Machiavelli’s The Prince will know, can be detrimental to the pursuit of power. “It is much safer,” Machiavelli wrote, “to be feared than to be loved.” Powerful people, in other words, can cease to see other people as human. This appears to be what happened at parts of News International, where the subjects of stories — whether they were politicians, celebrities, public figures or the victims of a tragedy — were harassed, hounded, intimidated and discarded. It reached such a scale — the victims of phone hacking number in the thousands — because News International accumulated enormous power, and this power went almost entirely unchecked. The Leveson Inquiry has laid out the consequences of such unchecked power. Individuals’ lives turned over, scarred, and — in the case of some victims — irreparably damaged. Swathes of public life corrupted. The political process distorted and prostituted. The most important result of the inquiry therefore has to be checks on this power. Sensible and proportionate ways of making these big media corporations responsible for their actions. The media corporations will argue — indeed already have — that any checks on their power equate to constraints on their freedom of expression. This is disingenuous and misleadingly blurs the line between a corporation’s power to say and do what it likes, and an individual’s right to free speech. Powerful institutions, including media organisations, are not in the business of self-expression, and should not go into that business. An argument that speech should be free because it generally does not affect, a fortiori can’t harm, others can’t stretch to cover the speech of governments or large corporations, of News International or the BBC. Big media corporations have voices far louder than individuals or small publishers. They are watched, listened to and read by millions. Their capacity to do harm is disproportionately greater for this reason. They are also able to drown out smaller voices, to deprive individuals and groups of the opportunity to speak for themselves. And, should someone try to get some redress if they have been “monstered”, demonised or unjustifiably intruded upon, the corporation has the legal firepower to prevent all but the richest and most powerful from taking action. Reforms should, for this reason, focus on these large corporations. 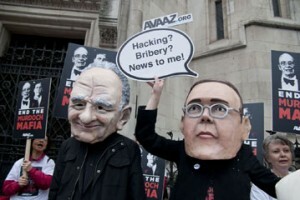 Individuals, bloggers, tweeters, independent news sites, small magazines and newspapers should not be Leveson’s focus. They should be free to publish whatever they like within the law. They should be excluded from any regulatory obligations that might risk constraining their free speech. Large corporations should still be free to publish what they like — they have a right to free speech too — but require a regulatory obligation to take responsibility for what they publish. In other words, they should have the mechanisms in place to justify their decisions to intrude on someone’s privacy. Equally, they should provide a decent opportunity for the subject of a story to respond, ensuring a fair hearing and potentially fair redress if an individual believes what was written to be misrepresentative or inaccurate. These accountability mechanisms should be both internal and external. In the 60 years before the Leveson Inquiry was set up, there were three Royal Commissions on the Press, two inquiries into privacy, and countless calls for press reform. All were pleas for powerful press barons to take some responsibility. Each time these large organisations failed to respond adequately. Lord Justice Leveson says he does not want his recommendations to gather dust on some academic’s shelf. Nor does he want his inquiry succeeded by yet another in a decade’s time. If that is the case, then he should focus reforms on big media organisations and oblige them, for the first time, to take proper responsibility for what they do. The Lawyer | Mark Lewis | Do we need a free press? The Blogger | Guido Fawkes | Where will this all end?